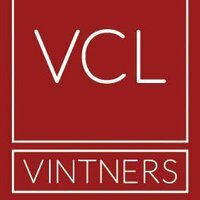 Based in London, VCL Vintners are a team of fine wine specialists with years of experience in buying and selling the world’s finest and rarest wines and whiskies. Whisky Cask Investment Guide of fine wine specialists with years of experience in buying and selling the world’s finest and rarest wines and whiskies. Our aim is to provide our clients with the latest real-time opportunities in the fine wine market, supported by our ever increasing knowledge of industry trends, contacts in the market place, and our dedicated team. Where possible, we build exclusive relationships with suppliers, making our selection of wines unique and therefore offering our clients a service that distinguishes us from many other merchants and brokers. Our goal is to bring increased clarity to our clients in what has traditionally been seen as a rather ‘opaque’ market and by so doing, assist you to identify opportunities pertaining to your specific requirements. We offer only the finest investment grade wines and we can supply you with as much or as little information as you require to build your portfolio.